Not only is that great news in itself but, even more amazing, it's a truly great briefing on every aspect of Gates. 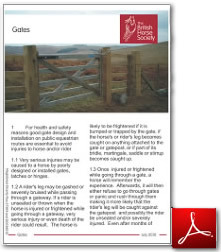 It is a must read for all riders and especially for those who spend so much of their time trying to improve the quality and safety of Gates throughout the country. Have they left anything out ? Is there anything they could have stressed more ? Will it solve our problems ? 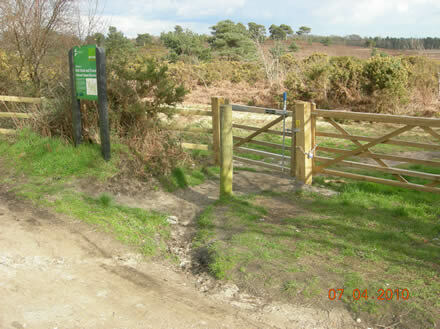 And why the hell did they put that photograph of a five-bar gate with a catch-clip on the front cover? 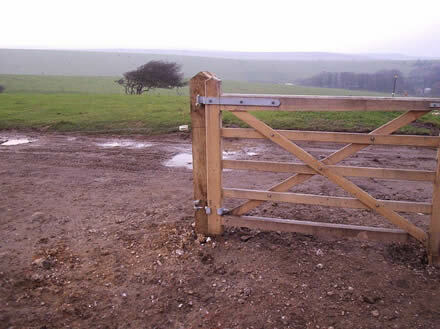 It is completely the wrong kind of gate we want. It also sends out the wrong message to local authorities not to mention Natural England and the National Trust ? 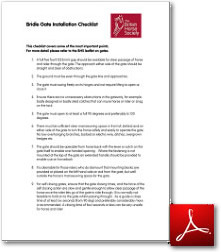 This checklist covers some of the most important points. 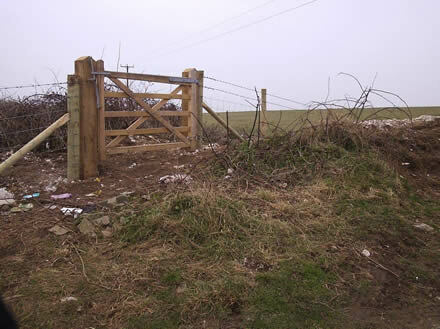 "That is the gate they swear by in Northumberland - the day I find a gate that pleases all access officers will be a red letter day!" 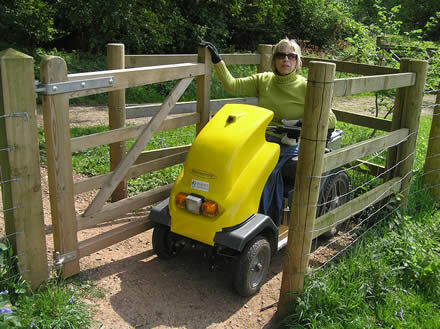 "I am not worried about the actual gate and agree we should never recommend one way self closing gates but this one as it is shown does not meet DDA compliance both for wheel chair users or disabled riders as the clip could be completely inaccessible or too difficult and being one way closing and opening would be almost impossible for some disabled users as well as potentially extremely difficult if the gate became out of true and self closing under its own weight. Its advantage is that it looks more than minimum width and there are no protruding metal pins or other ironmongery but it does not have the 3m wire free maneuvering area to the side. 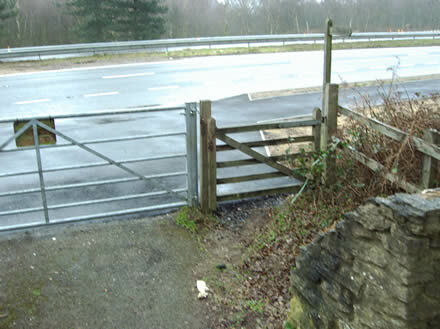 It is important to state that what is acceptable in wild inaccessible places like Northumberland could be unacceptable in other situations which have a different user profile"
"One way only non-self-closing gates, with a hook and eye correctly mounted, as shown in the picture, are no problem for most riders. There is nothing for the horse or rider to get injured on and there is no need for mounting blocks with them as they are easily usable on horseback. Far better than the self-closing mousetraps." How dangerous are these bridlegates ? Would you like to take your horse through any of these? Have you got photographs of dangerous bridlegates? We know dangerous bridlegates are a problem. We want to show how big a problem they are.